It is hard to fathom that the life and legacy of Martin Luther King Jnr have not previously made their way on to the big screen. Given the rich vein of material that King’s story offers, the lack of attention to his significant role in African-American history by filmmakers is perhaps more indicative of the attitude in Hollywood towards black stories more than anything else. Now, courtesy of director Ava DuVernay, Selma gives us access to this most revered figure and his role in the human rights struggles of the 1960’s. Wisely, DuVernay has made no effort to try and construct a biopic that covers the entirety of King’s life, or even the full gamut of his social and political influence. 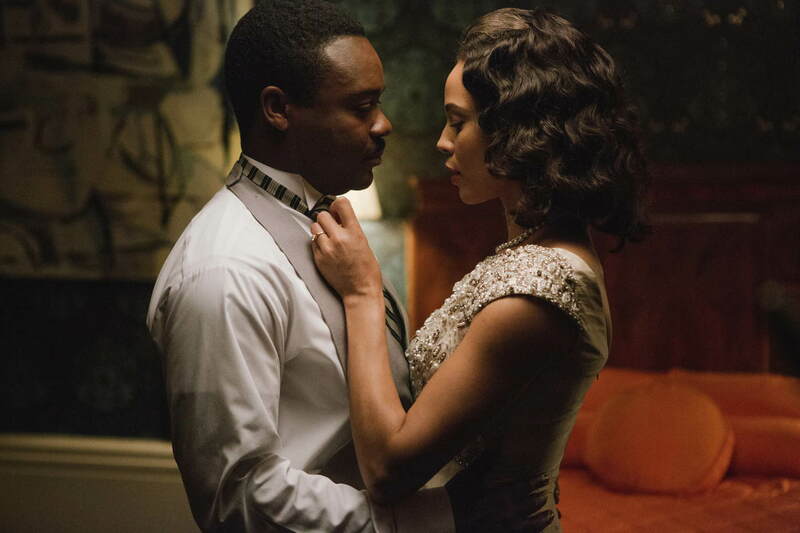 With Selma, DuVernay concentrates on a very specific moment in history that ultimately served to provide African-Americans in the southern Unites States with access to fundamental freedoms enjoyed by the rest of the population. It’s 1965 and black Americans are still being denied the vote in Alabama and other states, despite having every legal right to enrol. As frustrations mount, a group of activists, led by King, gather in the city of Selma to protest the obstructions – both bureaucratic and physical – of state and local authorities. 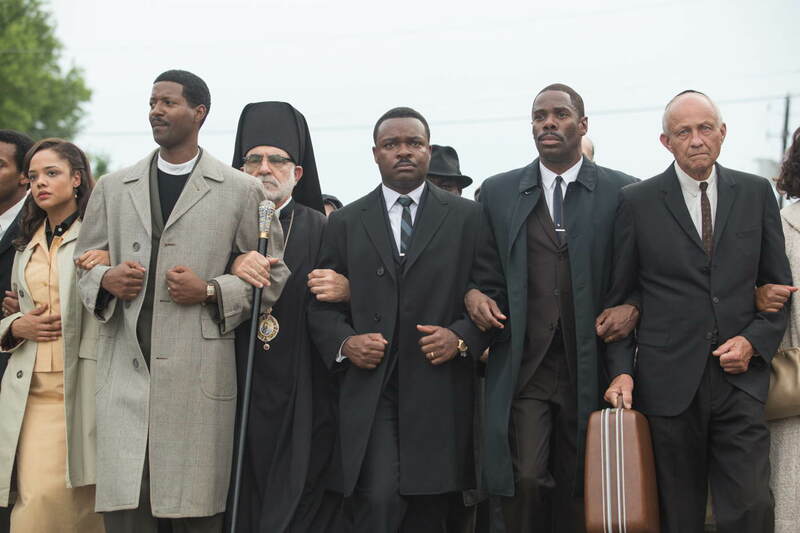 Played by British actor David Oyelowo (The Paperboy, The Butler), King is at the forefront of actions – culminating with a march from Selma to the state capital Montgomery – designed to force President Lyndon Johnson (Tom Wilkinson) to enact legislation that would eliminate such obstacles from the path of African-Americans desperate to participate in the political process. While King is obviously the hero of the piece, DuVernay has made every effort to present a rounded representation of his personality and, in so doing, has constructed an image that extends beyond his most recognisable representation as an inspirational orator who ‘had a dream’. Make no mistake, King was an utterly engaging public speaker who could engender fervent support through his impassioned, yet eloquent, demands for justice and equality, however the film also delves into the various manoeuvrings behind the scenes, from King’s negotiations with Johnson to the squabbling amongst activists over King’s insistence on non-violent protest, which is presented here as a tactical, rather than philosophical, approach. Oyelowo does a great job in capturing both King’s self-assured public persona and his more subdued private self. King is certainly not presented as a saint and his shortcomings as a father and husband form part of this balanced character study. Whilst those with even the most rudimentary knowledge of American history will know exactly how proceedings pan out, it is still quite confronting to see the 600 protestors beaten back by state troopers in their first attempt to cross the Edmund Pettus Bridge soon after leaving Selma. With State Governor George Wallace (Tim Roth) refusing to guarantee safe passage for the protestors, pressure mounts on Johnson to take action in the face of public and private rebukes from King. Whilst there are familiar faces aplenty amongst the supporting cast, including the likes of Oprah Winfrey, Cuba Gooding Jnr, Alessandro Nivola, Giovanni Ribisi, Dylan Baker, Stephen Root, Martin Sheen and Keith Stansfield (who was so good in Short Term 12), it is Oweyelo, fellow Brit Carmen Ejogo (as King’s wife Coretta) and TV regular Lorraine Toussaint who are the standouts in a film that resonates without ever resorting to histrionics or grandstanding. With her third narrative feature, DuVernay has constructed a film that is more even-handed that it might have been in the hands of another film maker. The social and political context of this period in history seems authentic enough and the soundtrack brings together music of the era from the likes of Otis Redding with a new collaboration between John Legend and Common, who also features in the film as activist James Bevell. As with any fictionalised version of real people and events, there will always be quibbles over the accuracy, or otherwise, of the characters and their actions, but ultimately the film is an engaging and enlightening look at a pivotal moment in American history. 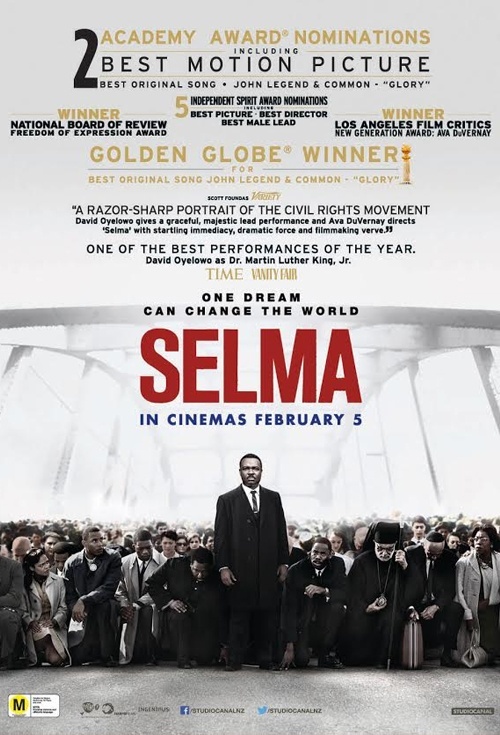 It is interesting that, whilst Selma has been nominated for Best Picture at the upcoming Academy Awards, the various individuals involved have been overlooked. Then again, as an African-American woman, could DuVernay ever have expected to be given any kind of consideration?